Build an impressive data-driven website without touching a line of code. 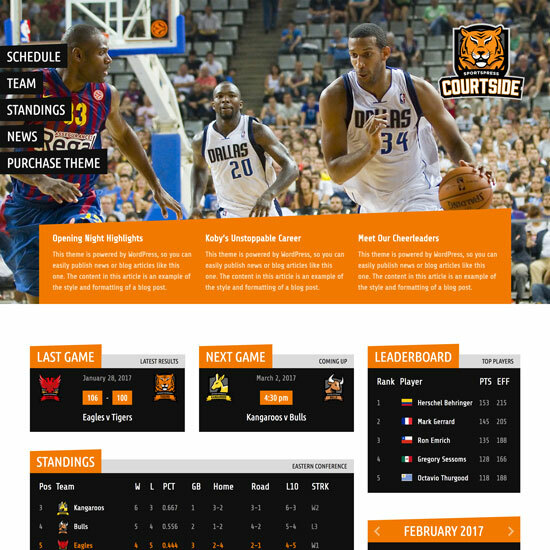 Energize your SportsPress site by switching to the new Courtside theme. 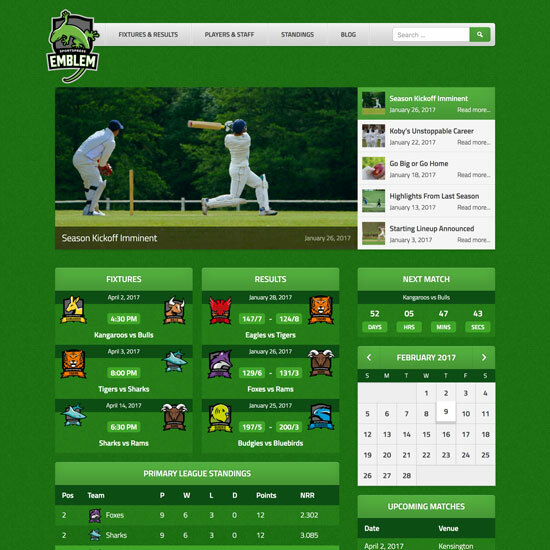 Get a feature-packed website with player profiles, standings, fixtures and results. 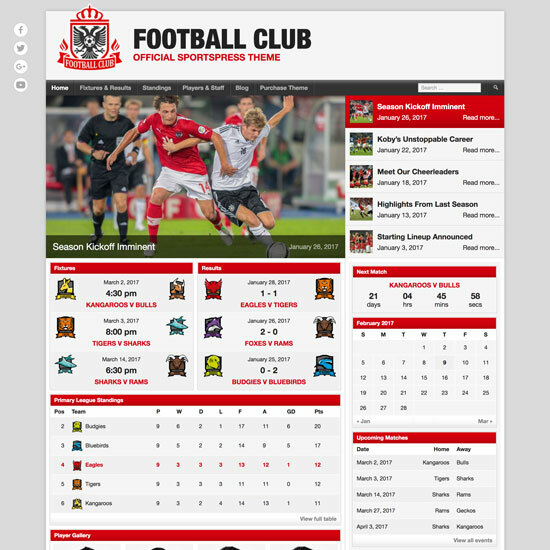 Build a classic sports website with a modern twist. Your rival teams will be green with envy. 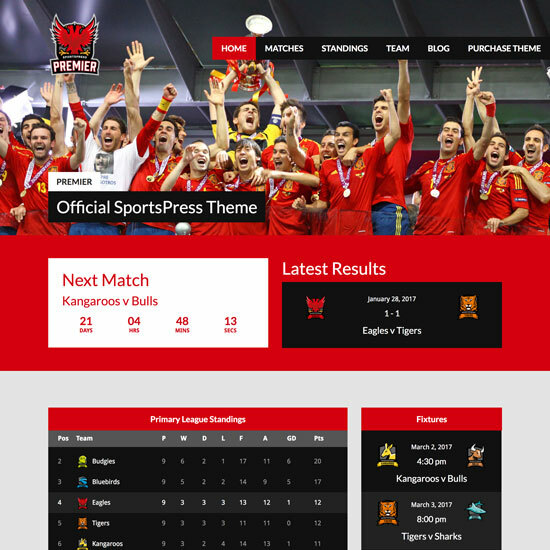 Premier is an exciting WordPress theme designed specifically for sports teams, clubs, and leagues. Already have a theme, but need more sports features? SportsPress Pro is the plugin for you. Extend the functionality of your site with these awesome extensions. Discover teams around the world using ThemeBoy solutions to power their website.